There is a terrible affliction which sometimes seems to befall people after they are awarded a first dan black belt. Shortly after achieving the award they mysteriously forget everything that helped them achieve the black belt rank and fade away never to be seen again.. Such a waste! Black belt isn’t a trophy to stick on your shelf and forget, it only means something when you live that example and use the knowledge to grow. First dan is just the beginning… it’s like graduating from university and stepping onto the bottom rung of your career ladder. Why would you get that far and then throw it all away? We’ve heard all the r̶e̶a̶s̶o̶n̶s̶ excuses a hundred times, but they rarely mean anything. A true black belt doesn’t know the word ‘quit’. If they were worthy of the belt they’ll always find a way. 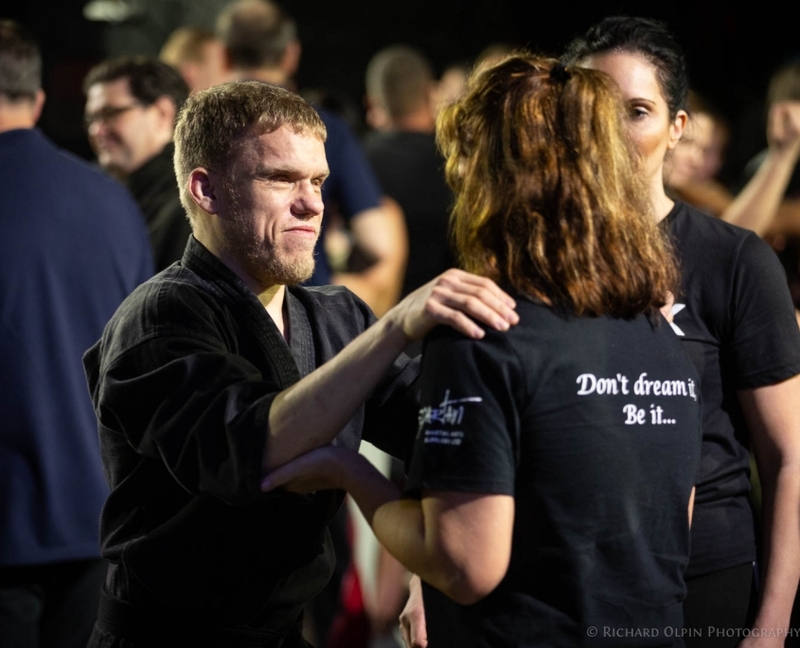 Yes, sometimes life throws us a curve-ball, challenges get in the way and we need to work around them, but a black belt will use their focus, discipline, positivity and tenacity to take on the challenges and find a way to move forward. • He’s lived with Type-1 diabetes his whole life. • 12 years ago Mark lost his sight, he is totally blind. • In 2014 he had a kidney transplant. • He was diagnosed with cancer in 2016, he’s now in remission. And yet, in spite of all that, Mark still trains every day. He studies multiple martial arts disciplines as well as yoga, tai chi, reiki and other healing disciplines. So, what was your excuse again? Mastery in everything you do… Happy New Year 2019!